Highly accurate computer vision made easy to use. We are deep and different. We build intelligent, proprietary deep networks that outperform the industry using far less training data. We lead the world in person detection, face detection, and facial recognition. Companies that have found OpenCV to be too slow or inaccurate for their needs turn to Sighthound to add artificial intelligence for vision to their products. Our technology is available in the cloud, on embedded chips, or on Windows, Mac and Linux computers. Read more about our capabilities below or contact us to learn more. Deep and non-deep classification models and real-time trainable, highly accurate make, model and color vehicle recognition. 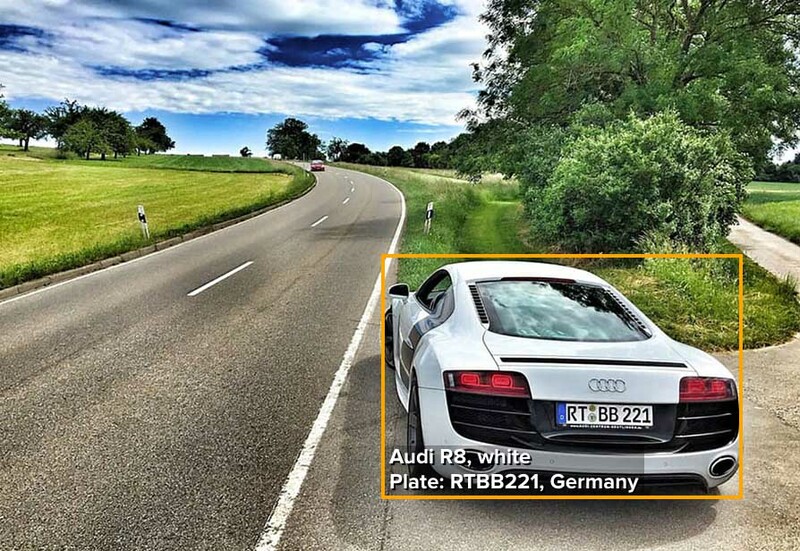 Detect and read license plates from most countries in the world, and receive the state of issuance for US plates and country of issuance for the major European countries. Use Sighthound’s own deep networks fine-tuned to your product or use case. Sighthound has deep networks that can be deployed on CPU or GPU, mobile, server or cloud. Highly accurate and more robust in real world scenarios that involve detecting small or distant faces. 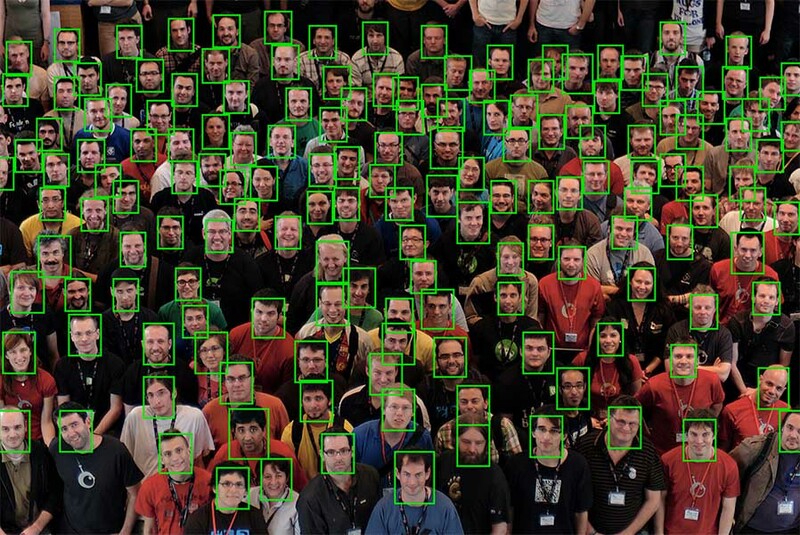 The most accurate facial recognition software in the world. Real-time demographic information with the world’s most accurate age, gender and emotion neural networks. Sighthound places 68 landmark dots on the face allowing the identification of features such as eyes, nose, mouth and giving pose and emotion information. From still, moving or flying cameras. Real-time person detection.